Back in August last year, we saw the first gameplay trailer for the latest version of id Software’s classic series, Quake. 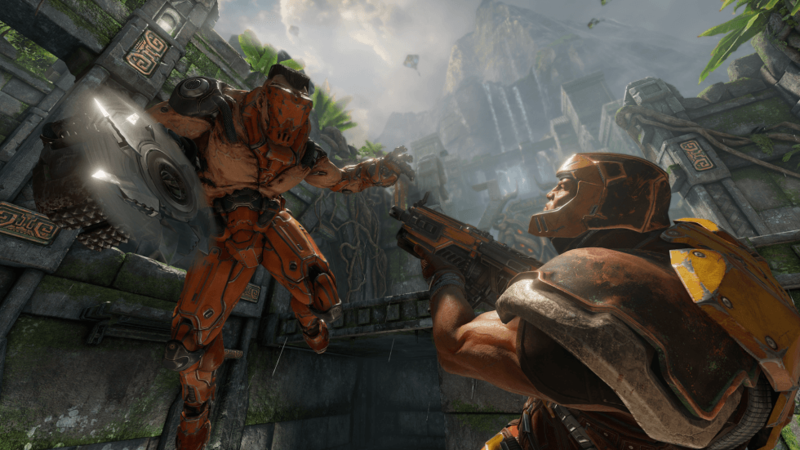 Following the commercial and critical success of the studio’s other reboot, Doom, the announcement of Quake Champions at E3 2016 wasn’t a huge surprise. Now, it’s been revealed that the arena shooter will be free-to-play with the option to purchase it outright. Id Software gave a strong hint last year that Quake Champions would be F2P when it talked about evaluating the game’s business model. Creative director Tim Willits explained in an interview with Polygon that offering free and traditional options would enable more people to play the game. “At its core, it’s a free-to-play game with the option to buy the Champion Pack and just get in and play with all the Champions,” said Willits. “There are a number of Quake players that just want to play their Quake, right? And they are familiar with the business model of our previous games, and they are totally fine. Both those who pay and free-to-play gamers will share the same maps and compete in the same brackets. But the F2P option gives players permanent access to just one character: Ranger. Buying the Champion Pack unlocks all the other Champions that are available at launch, which suggests more will arrive in the form of future DLC. Favor can also be spent on backpacks that enable players to take on rune challenges. Successfully completing these earns “reliquaries,” which grant the new Champions and skins. Exactly how long you’ll have access to these characters, and the price of the full game, is still undecided. But Willits says free and paid-for players will be on an equal footing.